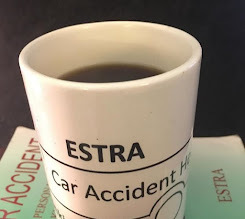 ESTRA (Seattle) - The experiences of people involved in Car Accidents should not be hidden away in a closet, but out in the open for scrutiny of people to see and hear until Insured are treated with respect, dignity, paid benefits and settlements. However, as long as the Insurance Industry is not required by law to show how they payout claims by Race, Gender, and Income many of their activities will not be exposed. The Department of Labor works more with these corporations than individuals this organization was design to protect. Often many organizations and corporation are design to be intermediaries to intercept problems that can cause Conglomerates bad press or large lawsuits that can damage their brands. The problem with this from my perspective is that it hurts the people who visit their office requesting help. Have you talk with Injured Workers? Worker Compensation which work as an intermediary between Employer and Employee in far too many cases has made it more difficult to obtain the support and resources promised. Far too many employees feel as if they are chasing their tails when trying to get assistance. And Employers making them Disability Surveillance Targets also add harassment and intimidation to situations with enough problems. Disability Surveillance Targets are also confronted with companies who have joined together in local communities with personal interest at heart. When Corporate American whether at a local or Federal Level pull their resources together against people injured in car accidents, or injured at work in efforts not to pay out claims, everyday people can only protect ourselves by banding together and exposing what is happening in life. When Communities as a whole do not know what types of harassment and intimidation of everyday citizens are going though in public and online spaces, ignorance allows abusive actions to continue against Insured. 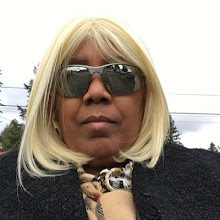 Disability Surveillance Targets Readings with ESTRA exposes surveillance actions, helps to eliminate fears of Injured and Disabled, along with providing support for families members who watch intimidation of loves ones in shock often wondering where to turn. Police are on the wrong side with injured facing Disability Surveillance. Law Enforcement tends to be on the side of Corporations, keeping their wealth safe and protected at the expense of everyday citizens.